More and more, we hear about therapies that support children with Autism Spectrum Disorder (ASD) – but how can we continue to help them cope once they reach adulthood? Could mindfulness-based therapy be one way to bolster adults with ASD? Researchers at the Adult Autism Center of Eindhoven in the Netherlands wanted to find out whether mindfulness practice could help patients with ASD alleviate depression and anxiety – the most common psychiatric concerns for this community. Annelies Spek, PhD and her colleagues randomly assigned 42 participants with ASD to one of two groups. The first group received Mindfulness-Based Cognitive Therapy (MBCT) – slightly modified to account for certain characteristics common in people with ASD, such as a slower ability to process information. The second group was placed on a waitlist to serve as a control, and received the same therapy once the study period ended. Before and after, both groups completed self-report questionnaires to determine their psychological distress, general affect, verbal comprehension, and tendency to ruminate (often a key aspect of depression and anxiety). So how did the groups compare once the experiment was over? Post-mindfulness training, the experimental group reported lower anxiety, depression and rumination, and reacted more positively to their emotions and feelings than the control group. This is promising research, but we want to be careful to note that this study was limited somewhat by the waitlist design – that means we can’t be sure that it was mindfulness practice alone that led to the changes above. Plus, this study was specific to adults with ASD who all had average to high verbal abilities so we want to be cautious not to generalize the outcome to include those whose verbal abilities were below average. If you’d like to know more, the full study is available online in Volume 34, Issue 1 of Research in Developmental Disabilities. Studies like this one keep showing us that there are more and more ways we can adapt mindfulness for patients. 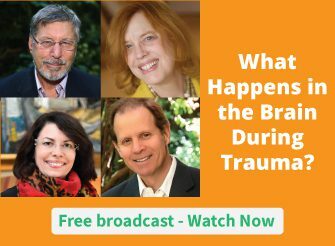 We talk about some other adaptations in our Mindfulness webinar series. Have you ever adapted a mindfulness exercise to fit a specific client need or situation? Please tell us about it – share your experience in the comments below. According to the simple rules this type of the game are based on the real situations and always provide the feeling of the real world mahjongg connect free. I have seen it too much time for the for the what is coming now in the new game world because this always give the new informations. we have not used the term mindfulness, but giving what we have used with our son a name and an additional component of meditation will be helpful. socialization and interaction with other people is one of most difficult tasks for our son and other youg people with ASD. The practice of mindfulness has givien our son tools to function in our world. I have adapted Mindfulness techniques to use with young adolescents with Autistic Spectrum Condition. The most recent case has been with a boy of 15years who is also Anorexic, it appears to be helping and he looks forward to the sessions. I have only recently found out about nicabm but will be visiting more often. The ultimate practice of mindfulness/meditation is application with every thought or emotions that randomly appears or is searched out. Mindfulness applied correctly can open parts of the mind unused and bring a capacity to impact many mental malfunctions. mindfulness goes beyond healing to a path to experience more happiness, more life without distractions causing us to react. A steady mindful practice creates space to let situations and things exist without our needing to judge them. The ego that is relaxed and not constantly used becomes more manageable with time. It is just training the mind to slow its pace and let the landscape of thought and emotion clear like clouds. Life totally changes when we change our relationship with thoughts and emotions. Thoughts and emotions are just grains of sand on the enormous beach of the mind. The ego is tiny and self created not our guide or ruler. Let go of control, expectation and judgment and see what life looks like then. You have to practice mindfulness and apply it everyday to get full benefit. It is not a once a week endeavor. This is the amazing gift of brain, build and or re-wire circuits when stimulated. My question is it a immanent property of the brain or is it an transcendent property. We can follow the way it happens till we reach some proteins called neuron-inductors as BNDF and others and the genes responsible to the production of such proteins but how this kind of so specialized and complex mechanisms were draw to work the way they do. Some way say It is the product of evolution. Indeed, Yes it may be. And this is a kind of never answer question cause we always think having our materialist way of thinking science. It leads us to a Simple Hierarchy and has no end. Always will have a And How…? But if we Think in terms of quantum physics and quantum mathematics we will reach that Mind is a transcendent property of Human being that that can only be reach when when there is an observer looking at it. The Physicists call this the The Quantum Non Local moment, where there is the collapses of quantum wave, then the “reality” is seem by us. This is the parallel Hierarchy, it is a change of paradox.